The Lure of Labrador – When will we be connected? The Strait of Belle Isle at its shortest distance is just 9 miles of water. In the 1970’s there was drilling on both ends of the Strait to build a tunnel connecting the island to mainland Canada. All of this ended with a change of Government. A tunnel does not appear to be on the radar of Government at any level. It makes practical sense to work with Quebec to cost-share this project as they complete the Lower North Shore Highway, Route 138 in the next 5 or so years. This completion of this Route will significantly change the way one travels, as commercial traffic will be re-routed from Montreal using this highway and a much shorter ferry crossing. I would even be able to drive to Montreal to see the Habs play the Leafs. With or without a tunnel, there must be appropriate planning to deal with capacity on the Route 138, Route 430 and Trans-Labrador Highway. There are services and business opportunities that will come with these new highways. The opening of the Trans-Labrador Highway saw an increase in 18% ferry passenger traffic in the Strait of Belle Isle from May-October from 65,000 passengers to 77,400. Will we be ready for Route 138? Why not build a tunnel? They have built the Chunnel connecting London, England to Paris, France by underground tunnel and train. The Scandinavian countries have several underground tunnels spanning a far greater distance than just 9 miles and comparable, if not worse weather conditions. There may be significant cost-savings by completing this project, as the Feds would not need to subsidize Marine Atlantic at their current levels. A greater focus could be placed on passenger traffic and promote tourism, as well as reduce user rates. As a means to re-ignite economic activity on the Great Northern Peninsula, this is one of the many answers. Newfoundland & Labrador is one province and should be connected. We should be a part of mainland Canada, as is the case with every other province and territory in the country. In the meantime, I continue to see the Big Land every day when I awake from my bedroom window and the lights twinkle at night. Some day that Lure of Labrador will be that much closer. During a visit in late-June to Montreal, I was introduced to a traditional taste enjoyed by many Montrealers – the bagel. The overpowering aromas filled the air of freshly baked bagels. There were racks upon racks – several being loaded on a truck to go to market. It was great to be able to purchase directly from the producer at “La Maison De L’Original Fairmount Bagel”. My friend who lives in Montreal introduced me to this place and also to Smoked Salmon Spread, which we was delightful to the taste buds. Although, I must admit that I was skeptical at first. It just goes to show sometimes we need to be open-minded. You may realize that by giving something chance you may find a new joy. Consuming culture can be as simple as eating the sesame seed bagel with salmon dip from a local bagel shop. When you visit a new place, I encourage you to try local foods. As I try to prepare often local dishes for myself and those who come and visit me in Rural NL. Why are we not serving up Seal Flippers throughout the summer season? Moose Burgers, Moose Stew and Caribou Steak have made the menus of some local restaurants and have made appearances at various festivals and special events throughout the summer. They sell like hot cakes. But seal meat does not make the cut? I have been hearing that seal flippers have been for sale recently at the waterfront at St. Johns, NL in a large supply over the local radio network. However, that is not Rural NL. 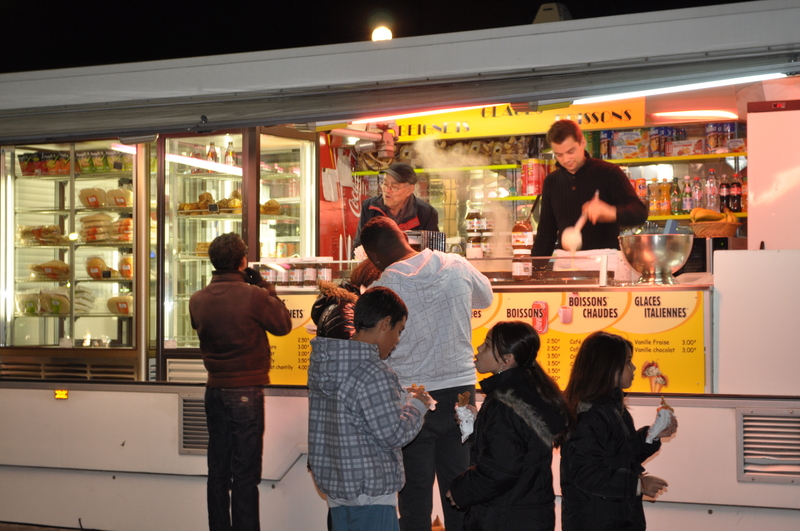 After travelling to many countries, there always seems to be a mobile food service stand that sells something significant to the culture. In Paris there are crepes made at street vendors. They are incredibly delicious. In Switzerland and the Czech Republic at Christmas, roasted nuts appeared to be a staple. New York has their famous hot dogs and Belgium – waffles, of course. There may be room for an outlet that sells seal, wild game and other traditional cuisine of Rural Newfoundland & Labrador for those on the run. 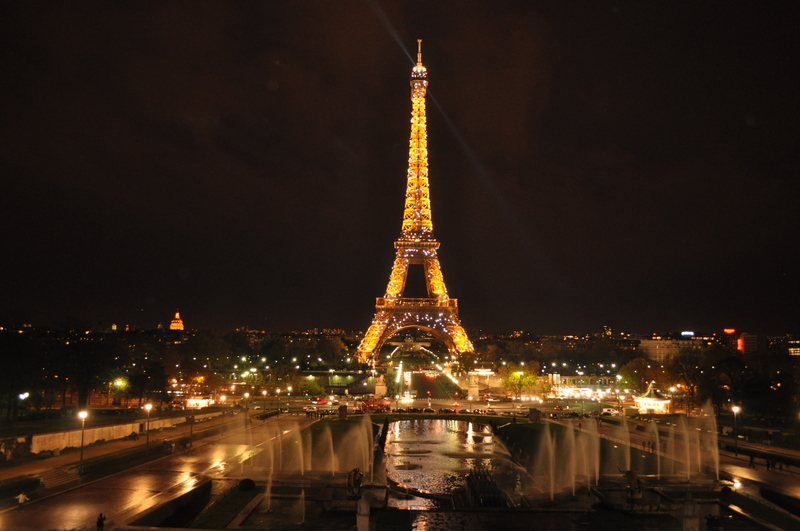 The Tour Eiffel is not to be missed by night. 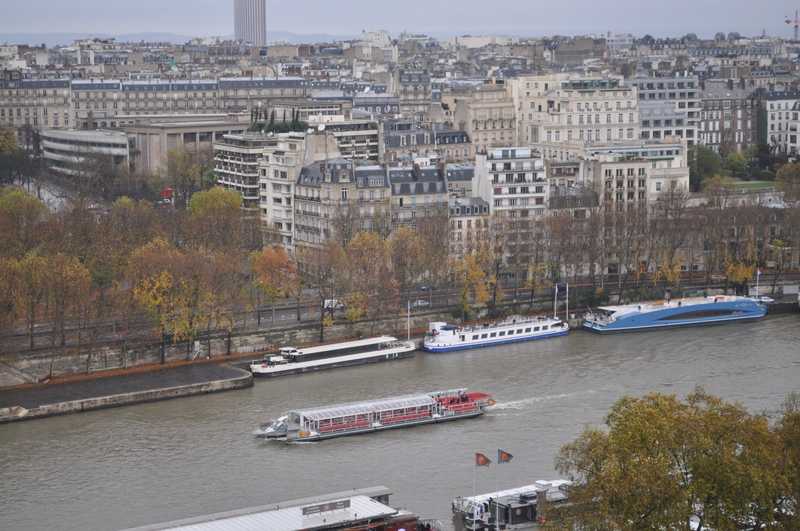 We took the metro and got off at Trocadero and walked from the Palais de Chaillot gardens across the Seinr. It gave a fabulous view and some excellent photo opportunities. We arrived just before dark and visited a cafe for a nice dessert and got a great light show after dark. By day one can stop by the world’s largest triumpial arch. 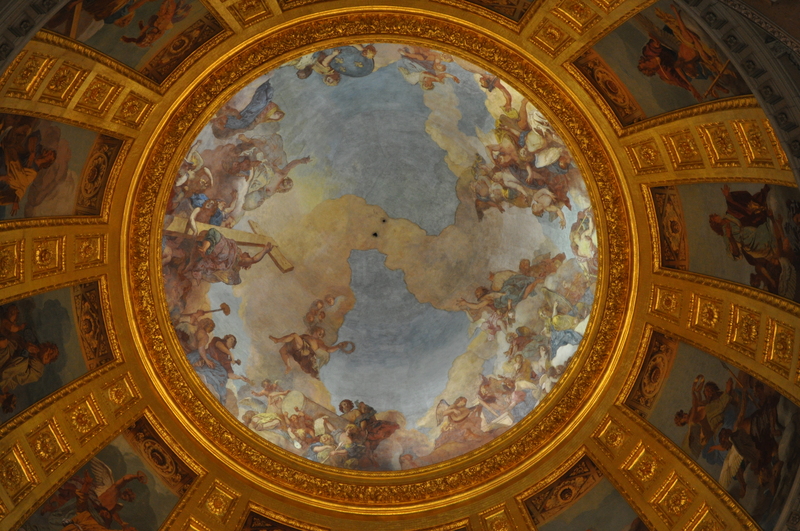 This was another piece of Napoleon’s creation to celebrate the victory of his Grand Armee. You can arrive by metro and get the opportunity to get a magnificant view from above by either taking the stairs or elevator. One can see that there are vehicles surrounding as the arc is in a major traffic intersection or “roundabout”. I had visited this arc before in 2007 with former classmates. This was one of our last attractions we saw, as we spent the day prior at EuroDisney. It certainly was fun, even for the big kid. I love theme parks. We stayed in Montmartre, with its steep hills and staircase streets. It is one of the most beautiful neighbourhood in Paris. We spent some time just exploring the streets, climbing many stairs and getting a view at Sacre Coeur. 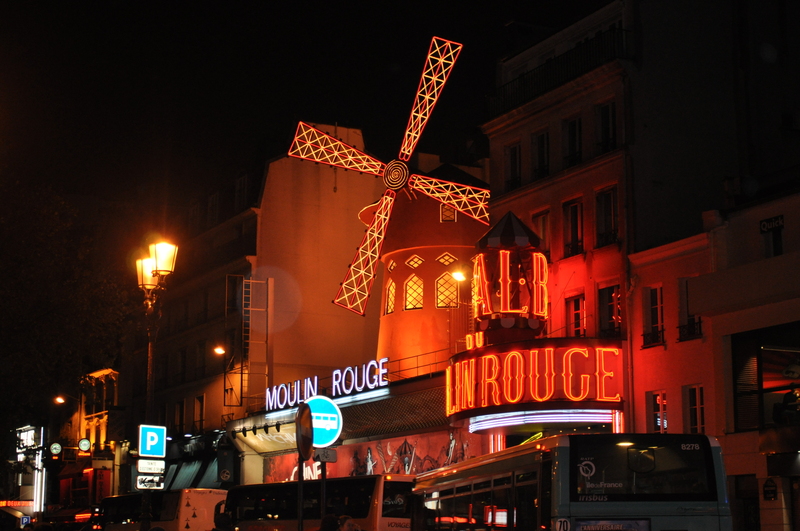 We also found the windmills on rue Lepic and at iconic Moulin Rouge. Riverboats frequent the Seine.The architecture along this river is well-lit, enabling the river to really see them glow. We did not have the opportunity, but can only imagine on a warm night looking on and reaching out to these wonder pieces of art. 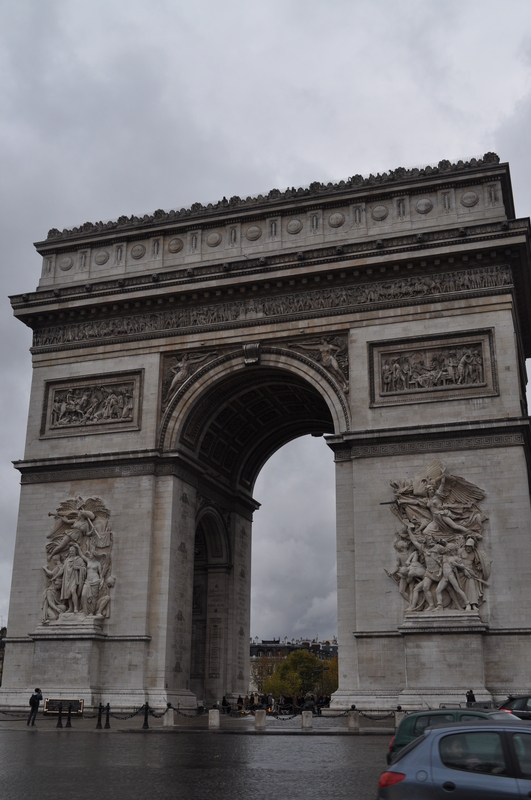 Paris is a city to overflowing with culture and screams of an amazing lifestyle. I guess Rural Newfoundland has more in common with this urban metropolitan center than one would think. It is a great place to visit and experience. 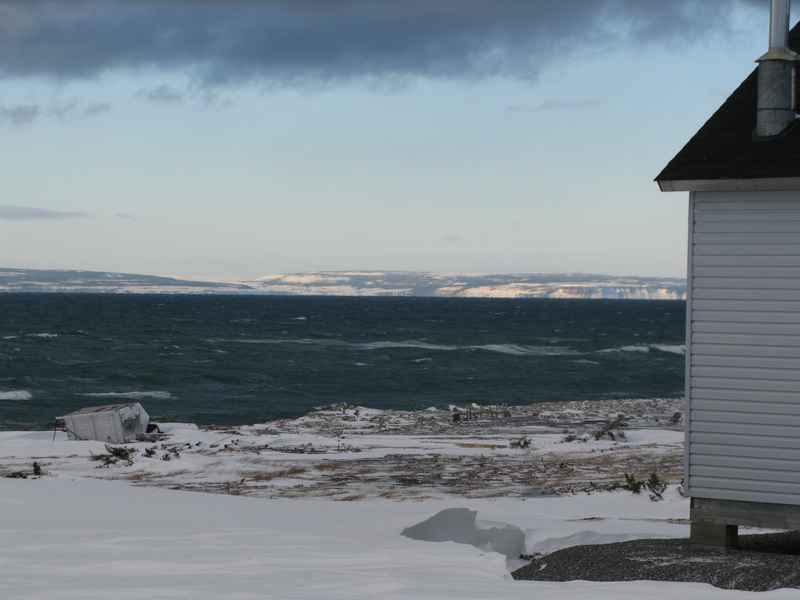 The Napoleonic Wars had an impact on the settlement on the Island of Newfoundland during 1803-1815. The withdrawal of the warring nations from the salt cod fishery gave Newfoundland a monopoly in such a lucrative industry. During these years prosperity came with increase in standards of living and brought great social change. 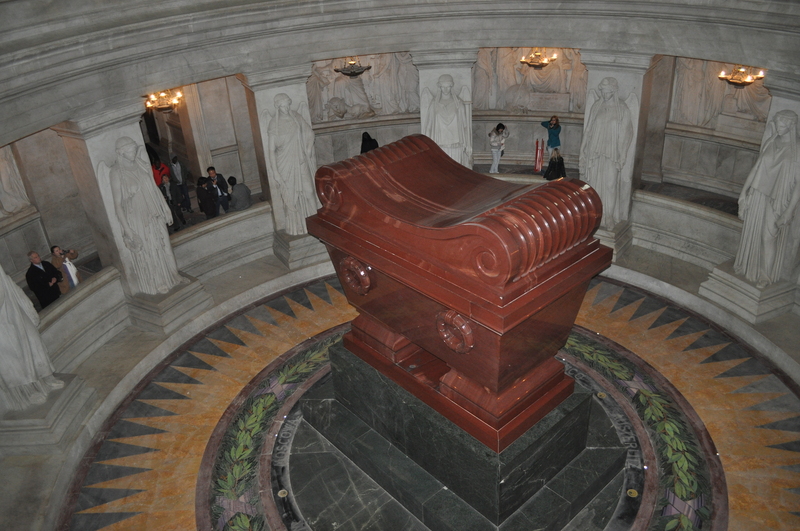 While in France, my mother and I visited the Hotel des Invalides and Napoleon’s Tomb. 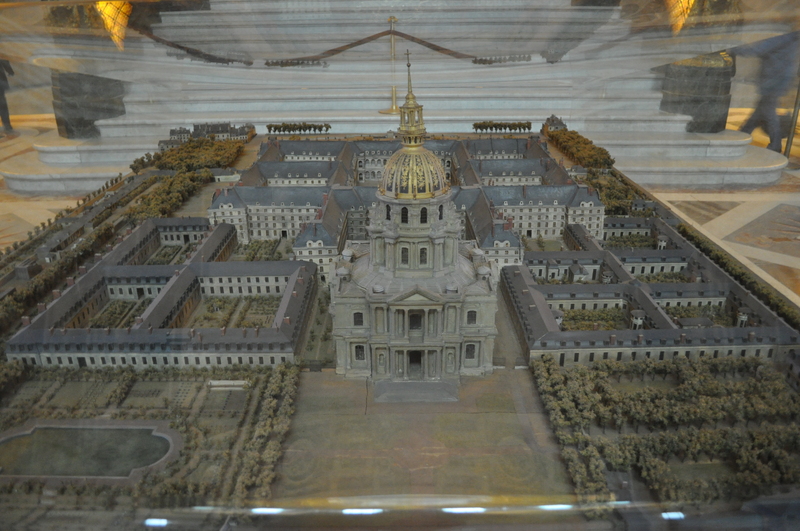 The Invalides complex with Dome Church, built in 1670 was a military hospital. It has beautiful gardens, which are lined by canons. There is a focus of Napoleon’s life and death. It is one of the places you can see while in France.